Tressa Springmann has been chief information officer of LifeBridge Health since 2012. She is also a senior vice president for other enterprise functions. Before joining LifeBridge Health, Springmann served as vice president and chief information officer for Greater Baltimore Medical Center. She has also held information technology positions at Integrated Health Services, Georgetown University Hospital, Dimensions Healthcare System, CMC Occupational Health, Pharmacia Diagnostics, Electronic Data Systems and The Johns Hopkins School of Medicine. What was your first job? My first job was stocking clerk in the pharmacy section of a drug store. Did you always want to work in IT? No - my major was biology. While working at John Hopkins doing protein chemistry research, I realised my heart wasn't in it. Before pursuing another degree I wasn't passionate about, I did informational interviews to explore other areas that might be a better fit for me. An interview resulted in a job offer with EDS, a major engineering company, which landed me in software services. What was your education? Do you hold any certifications? What are they? My undergraduate degree is from St. Mary's College of Maryland, and I have a Masters of Administrative Science in Information Technology from John Hopkins University. I'm also CP HIMSS and CHCIO certified. Explain your career path. Did you take any detours? If so, discuss. At EDS, I was part of their SED, Systems Engineer Development Program. Halfway through this program I was asked to take a management track and ended up supporting hospitals running Micronot, a hospital clinical system sold then by EDS. When EDS got out of that business, they offered me a job in banking. By then I knew I wanted to be in healthcare and left EDS for the provider side where I've been for the past 25 years in expanded responsibilities in a variety of care settings - healthcare IT being the common thread. What are the CEO's top priorities for you in the coming year? How do you plan to support the business with IT? One of our top IT goals is to mature our security posture with effective identity management. This is an example of a specific implementation that has direct alignment with our strategy. We also plan to scale telehealth investments in virtual care, including untraditional modes of delivery to give our consumers a choice on care . 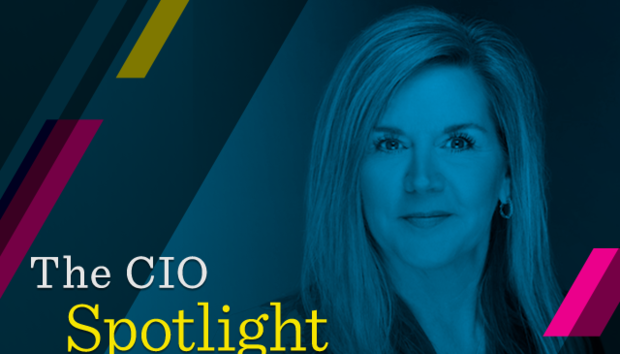 Does the conventional CIO role include responsibilities it should not hold? Should the role have additional responsibilities it does not currently include? I think the role of the CIO is ever evolving, and it depends on the organisation and culture. Most people understand and agree that healthcare needs to become digitised, but you can't swap convenience for quality care. I believe the CIO should be part of driving the strategic process, and it's critical to include the head of your technology division. It's also important to keep an understanding of the role of clinicians and IT, which is unique to your organization. Are you leading a digital transformation? If so, does it emphasise customer experience and revenue growth or operational efficiency? If both, how do you balance the two? Yes, I'm jointly leading a digital transformation with our VP of Strategy, and it emphasises customer experience, revenue growth and operational efficiency. There is a lot of pressure to reduce total cost of care. The revenue side of telehealth has been slow to catch on, so we've been very selective and intentional with where we invest. Describe the maturity of your digital business. For example, do you have KPIs to quantify the value of IT? Yes, KPIs are in place around our strategy for telehealth and the deployment around our digital consumer facing tool to reduce re-admission. We are investing in five virtual care/tele health pilots and have goals for the specific number of episodes we plan to handle for each. What does good culture look like in your organisation? How do you cultivate it? There's a lot of competition in this market. We embrace our early market advantage and innovative spirit as a differentiator. We often partner with people who want to try a proof of concept. We fail sometimes, but not always, and when we have success based on innovation its because our culture supports that mindset. We are highly collaborative and tightly aligned with our strategy. What roles or skills are you finding (or anticipate to be) the most difficult to fill? Healthcare IT has a gap in bench strength all together. It's hard to make sure you are market competitive. With digital health, for a long time, we were just pulling vendor products off the shelf. With required interoperability and a digital strategy, we're back in the market competing with Google and Amazon for HTML coders, which is hard to compete with. What's the best career advice you ever received? If you see something that interests you, proactively make a pitch that demostrates your interest in being more involved and also creates a commitment to advancing something important to your organisation. It's critical to take ownership of your own career and surface what's interesting to you. Do you have a succession plan? If so, discuss the importance of and challenges with training up high-performing staff. Yes - it is multi factorial because things change. I've had very intentional development conversations with everyone who reports to me. More than one person has an action plan and could end up being in this role. What advice would you give to aspiring IT leaders? Be flexible and focus on relationships. Identify and be a leader that says, ‘yes, if' and not ‘no, because'. Never forget what your business is - it's not technology for me, it's healthcare. What has been your greatest career achievement? My two kids. Being able to be an effective leader, effective mom and effective spouse. Looking back with 20:20 hindsight, what would you have done differently? Life is about learning - and learning about yourself. I wish I'd been a little easier on myself. Early on, I thought it was all about outcomes, not relationships. I've now learned relationships are so important and life is gray, not black and white. What are you reading now? I'm making my way through the HIMSS Top 12 recommended summer reads from various CIO's, but I very much enjoy anything by Malcolm Gladwell and Simon Sinek. His Twitter feed has fantastic tidbits. In my spare time, I like to…Stay active. I'm also currently working on my certificate in wine production. Ask me to do anything but… Break someone's trust.